With our husbands off at meetings all day, Fridays in LA are best spent with the girls. It’s nice to wake up, have a great workout and then sit by the pool for a bit gossiping, drinking coffee and catching some rays. I could probably spend my whole day like this, but shopping calls so we hit the streets. Our first stop is always Loehmann’s, which is the only time I can get dragged in to a discount department store. Loehmann’s is everything I can’t stand about shopping. There’s so much stuff there and I’m not good at picking through the racks for the “finds”. My girlfriends are expert shoppers though, so I just tag along behind and let them throw things into my basket. I tough it out with the girls because I know that I’ll leave with at least one pair of fantastic jeans that are over 60% off what I’d pay in Vancouver for them. After 2 or 3 hours of this though, I get a bit cranky and have to convince them I need food. 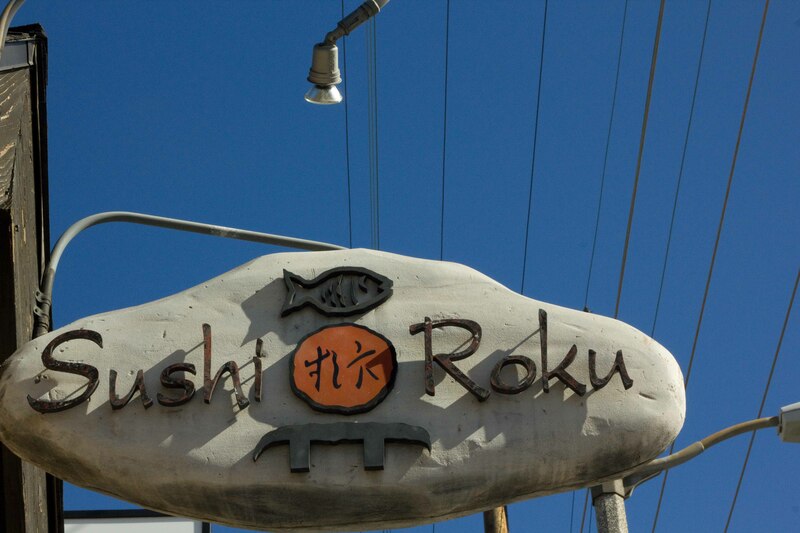 On our shopping day, food is second thought, but since we hadn’t planned a sushi dinner this year, we went to Sushi Roku for lunch knowing that they have the super popular, (in LA) baked crab roll there. 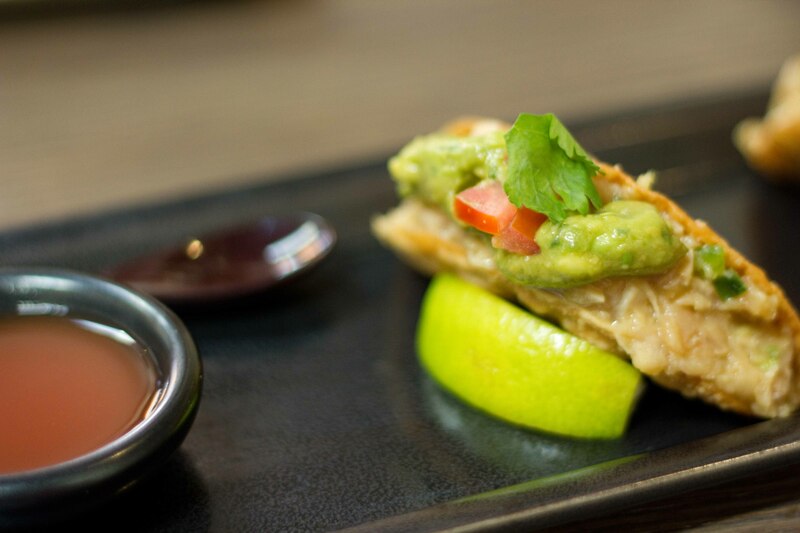 Located in the same block as Loehmann’s, the Beverly Center and other great boutiques on 3rd St, this sushi spot may not be the best, but it sure is convenient. Located in the same block as Loehmann’s, the Beverly Center and other great boutiques on 3rd St, this sushi spot may not be the best, but it is convenient. 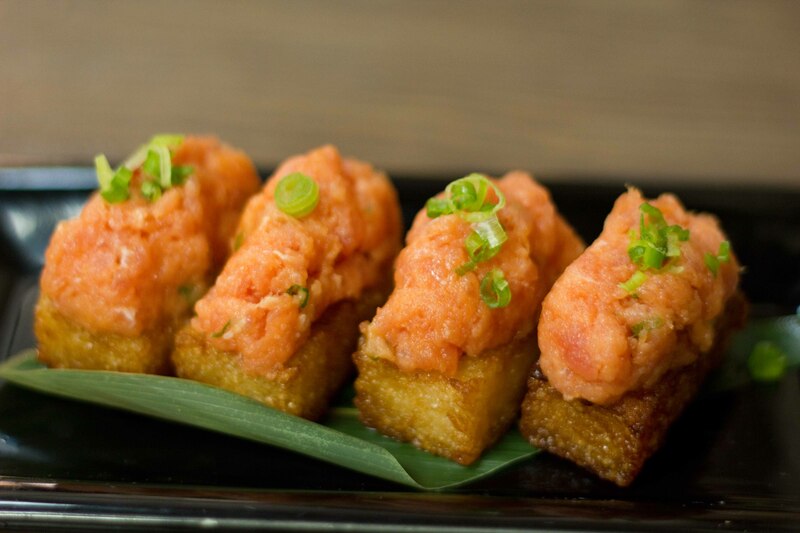 Hanabi – spicy tuna on top of crispy (fried) sticky rice and topped with chilis. Another staple on sushi menus in LA. I found these ones to be a bit heavy from over-frying. Crunchy Albacore tuna taco with yuzu guacamole had so much potential for being good, but the room temperature tuna threw me off a bit. After lunch, we’re off to the mall for more shopping. I’m not a power shopper though, so I plan an escape by arranging an indulgent spa appointment for myself. My girlfriends on the other hand, have been known to keep going until dinnertime. 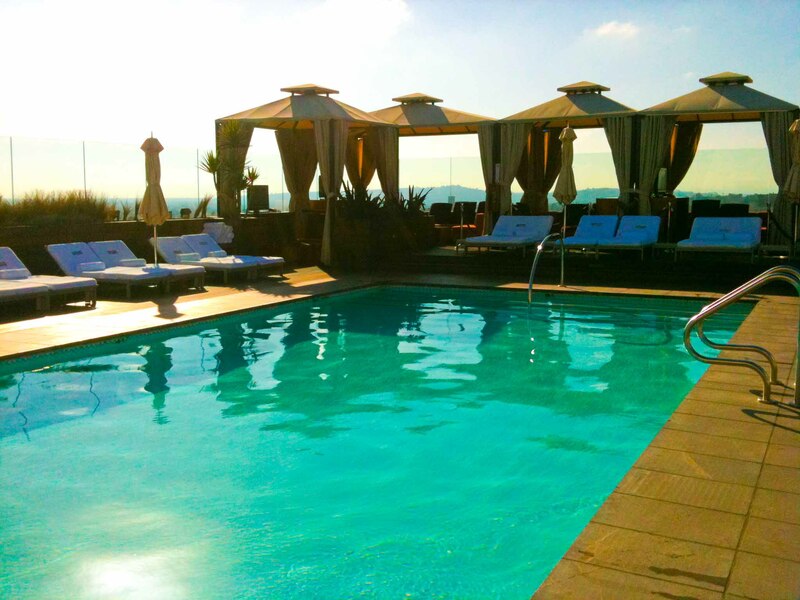 Spa-ing in LA is an experience not to be missed. Not only are the facilities top-notch, but you never know when you’ll find yourself in the change room or relaxation area next to Evangeline Lilly, Suge Knight or Kevin Bacon. 10 years ago in my first Beverly Hills spa experience, I ran into the change room at the Four Seasons spa in a panic because I was late. A woman in her 70’s, (who turned out to be a US ambassador’s wife) sat me down and taught me a lesson that I still try to live by. She told me that I should “just slow down”. She then asked one of the staff to bring me a tea so we could chat. She told me that life would pass me by if I was always in a rush and that savouring experiences would lead me to more happiness than if I tried to pack in too much, in too little time. I know that I still rush around too much, but when things get too chaotic in my life, I still hear her voice in my head. “Just slow down, slow down…”. This year, I wanted to try a new spa and because the hotel we were staying in did not have one, I chose Ciel Spa at the SLS hotel. I was not disappointed. Not only was the spa completely amazing, I got there early enough before my appointment to relax in their relaxation area with a watermelon agua fresca and wonderful handmade chocolates. Uber-wonderful. This was the most amazing spa I’ve ever been to. When I booked my appointment, I was asked if I was coming in for any special occasion. I figured if they were asking, that it was for a reason, so I told them I was celebrating my anniversary, (a month and a half ago). After my luxurious treatments, I was treated to a glass of champagne while I sat back and just “slowed down”. I was sparkly and mellow and ready to meet up with my girlfriends and our husbands for an evening out for dinner in LA.